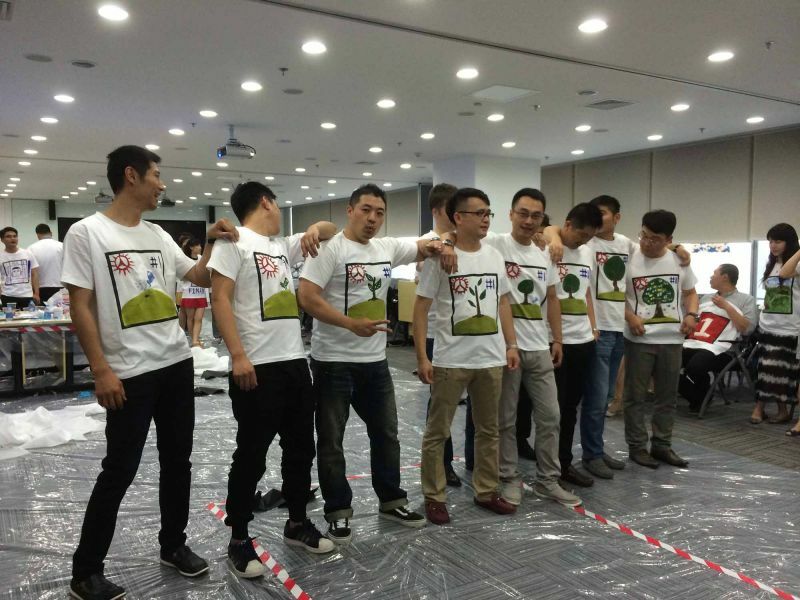 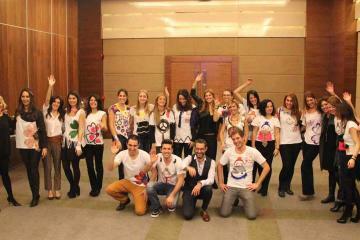 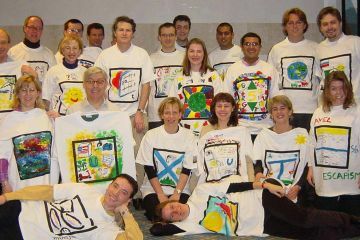 Teams create a t-shirt graphically representing a given topic or theme, then wear it! 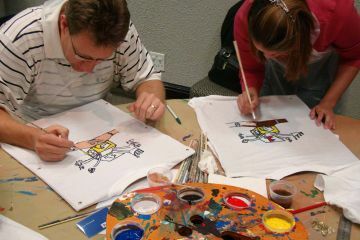 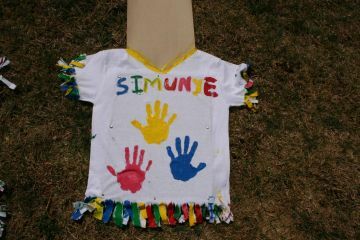 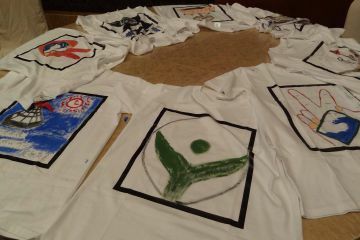 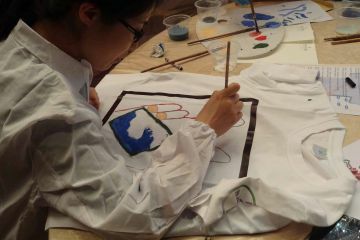 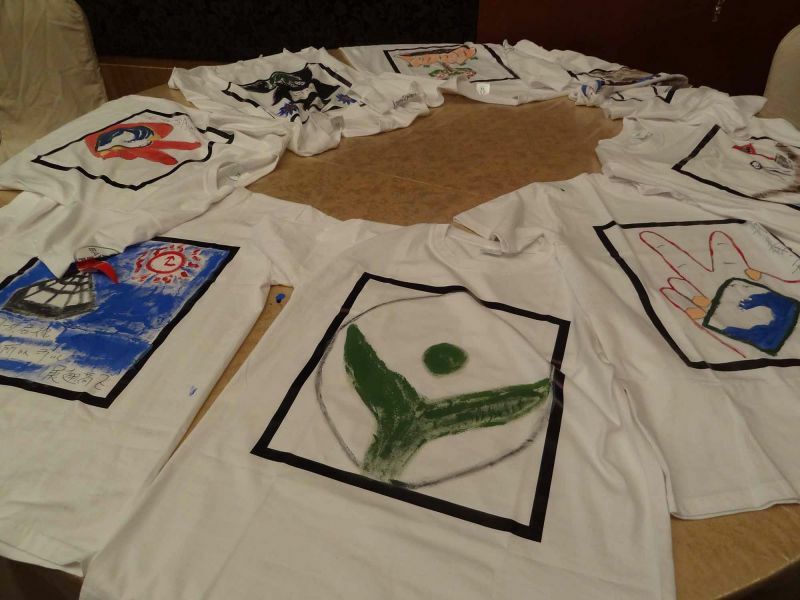 In T-Shirt Masterpiece teams are provided with a plain white T-shirt for each person. 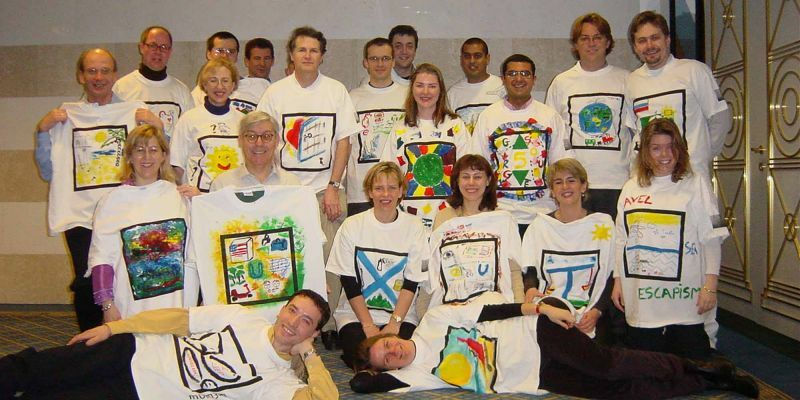 Teams must come up with an imaginative, creative and unique design which will promote a predetermined given theme which focuses on themselves, a product or the company. 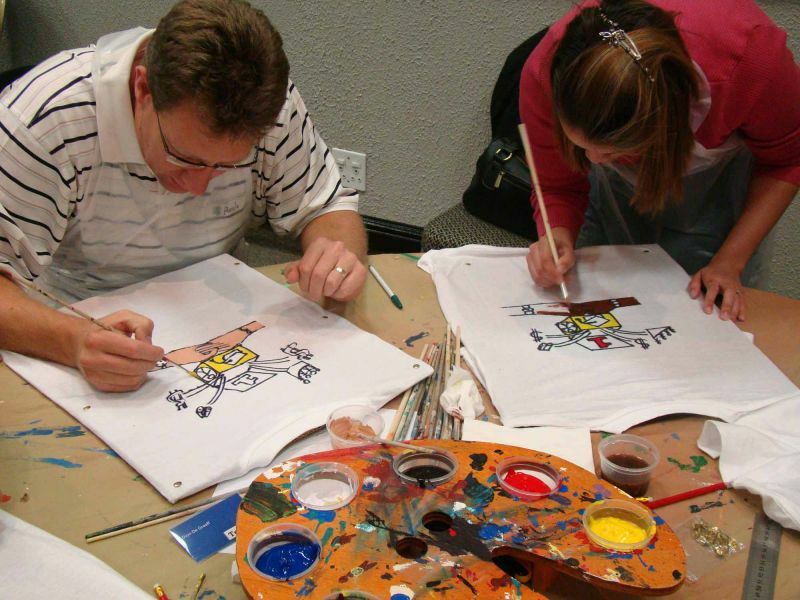 They discuss creative ideas and eventually come up with a consensus of opinion. 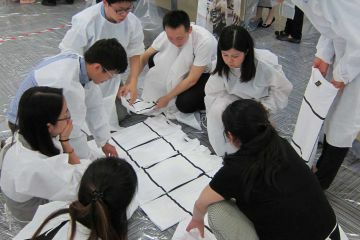 When the production stage is reached, a range of printing materials is made available together with advice and assistance from expert designers. 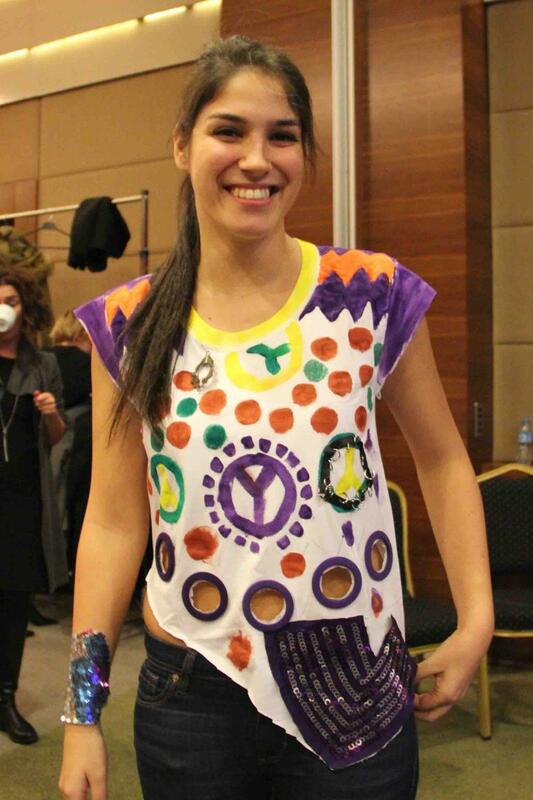 The activity culminates in a catwalk fashion show where teams parade creations and display their messages. 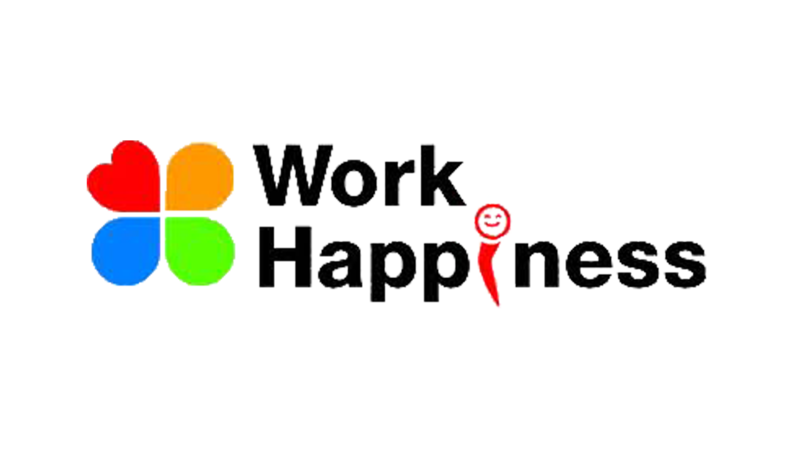 Humor will naturally be well rewarded. 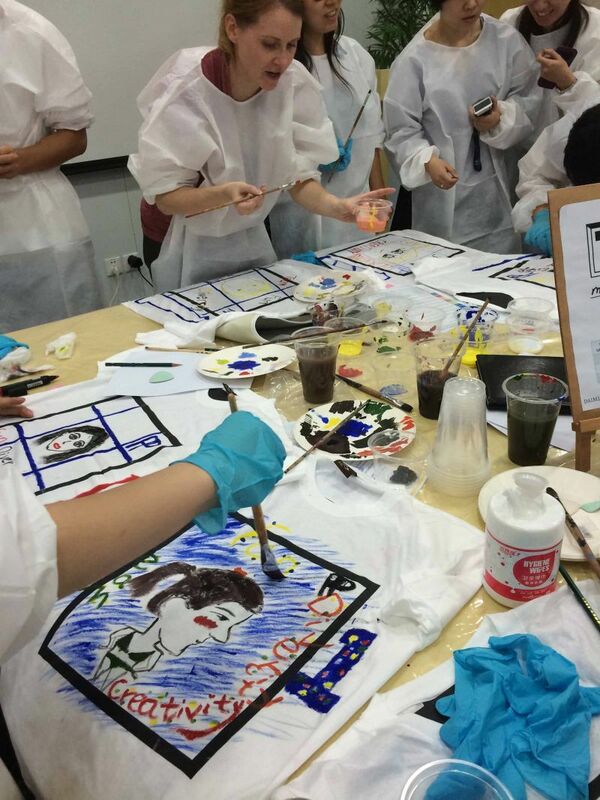 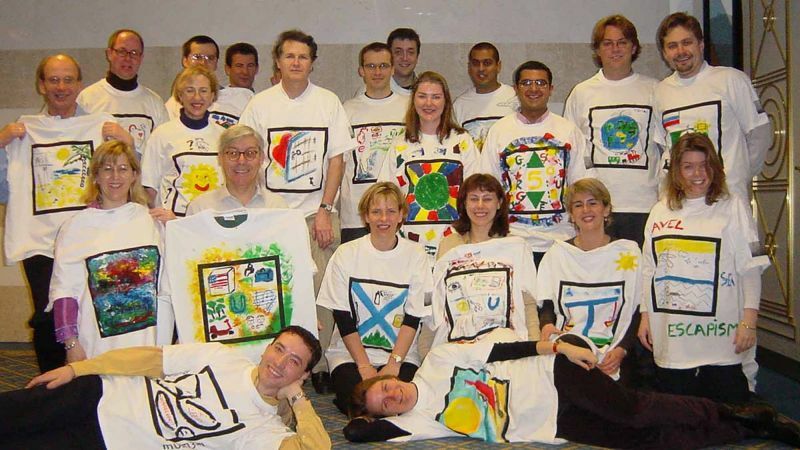 In T-Shirt Masterpiece, creativity, effective communication and intra-team collaboration are essential to developing a cohesive design that articulates the theme. 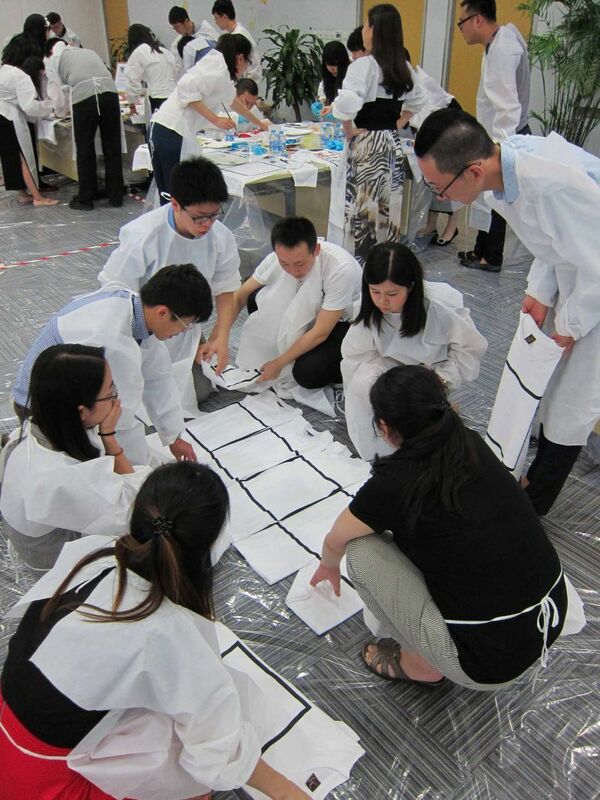 As time is limited, it is essential that each team works as one to collaborate on their ideas and utilize the skills and strengths of each individual in the team. 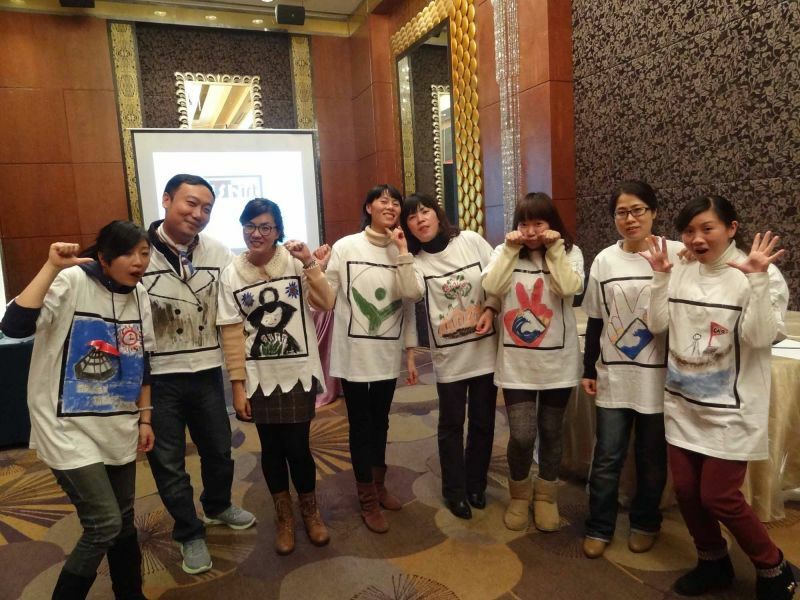 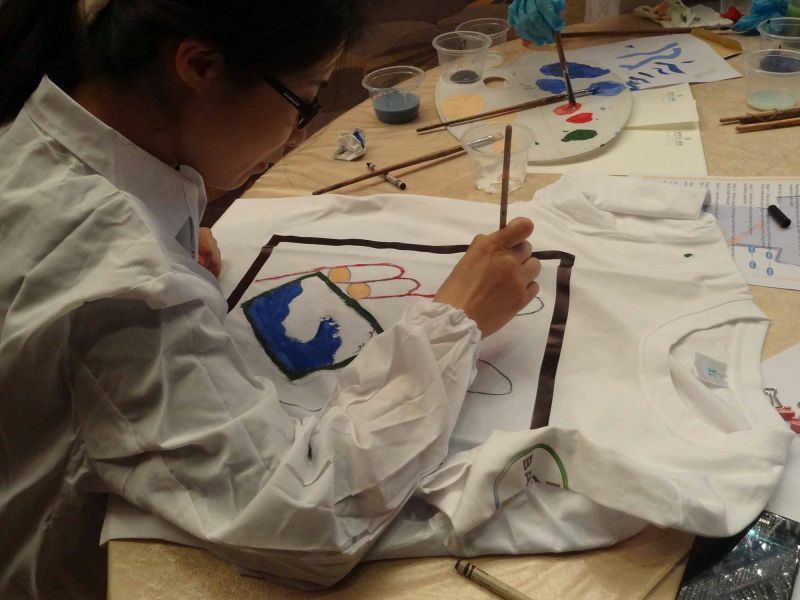 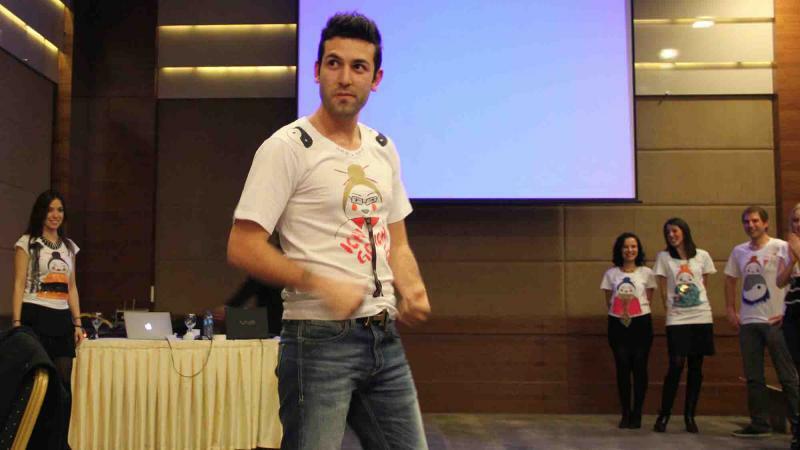 T-Shirt Masterpiece is a fantastic way to practically engage delegates in conference themes. 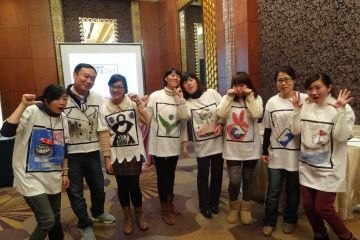 It also works well for organizations looking to discuss and reinforce their company culture, vision, mission and brand. 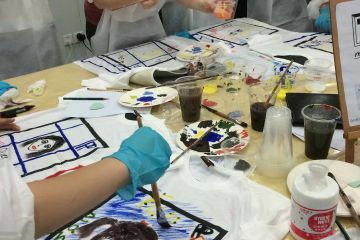 We really enjoyed this activity. 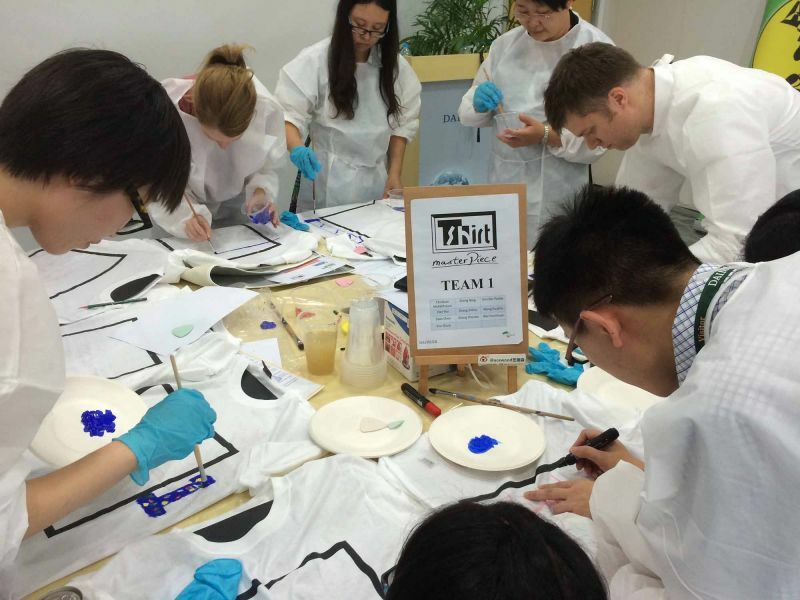 It was a surprisingly unique way of taking another look at our company culture and helped us to understand and appreciate each other's way of seeing things.